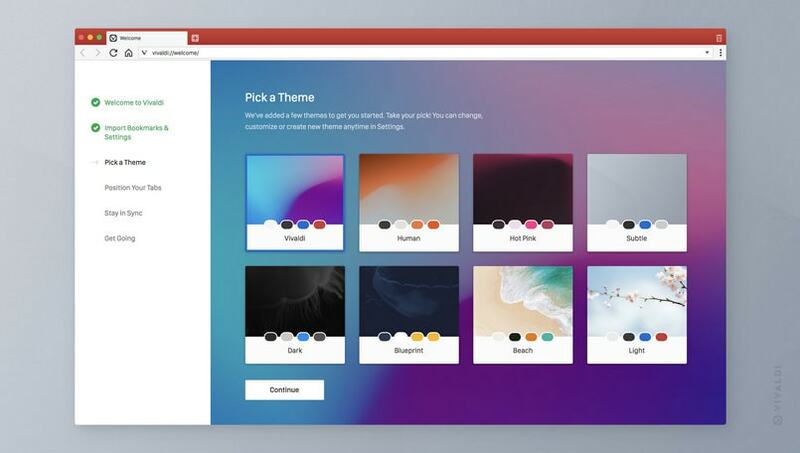 The new update follows up on the vision of Vivaldi where users should control how their browser works, looks, and even feels like. 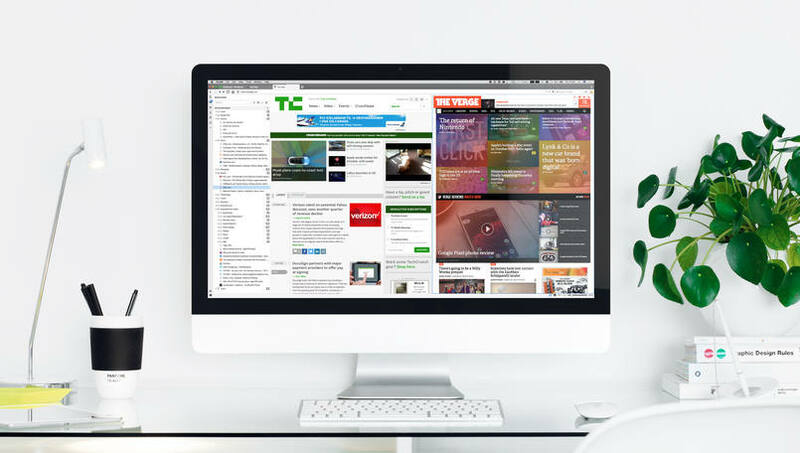 Vivaldi Technologies has just announced the release of the version 2.0 of its web browser. The company is calling Vivaldi 2.0, as its “biggest update yet”. 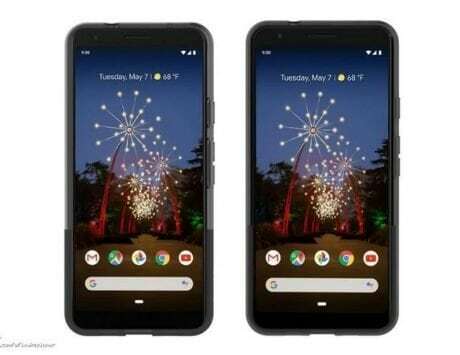 According to the company, the new update follows up on the vision of the company where users should control how their browser works, looks, and even feels like. 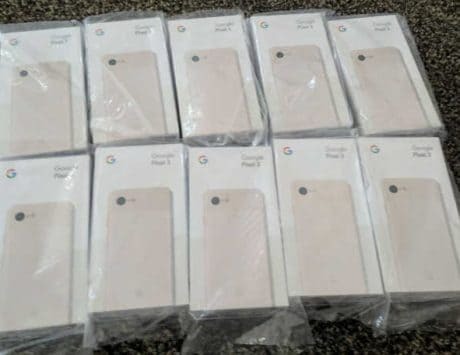 The company stated that it has done more than 1,500 improvements in the browser since the launch of the first version almost 2.5 years ago. 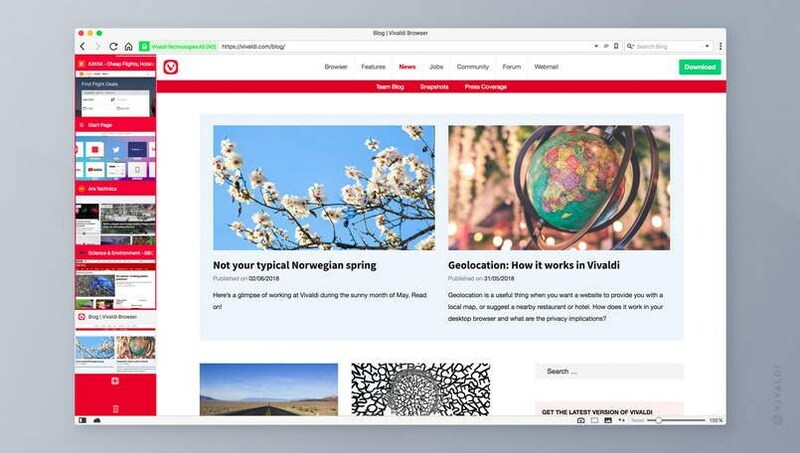 Diving in the features, the company claims that Vivaldi 2.0 comes with “by far the most customizable user interface” where users can change the position of the tab bar, adjust zoom levels, toggle adaptive themes that change color depending on the website that you were browsing, schedule themes, make changes to speed dials and background of the window. Data sync may seem a basic necessity in modern day web browsers, but companies have to ensure that it is secure and robust in all situations. 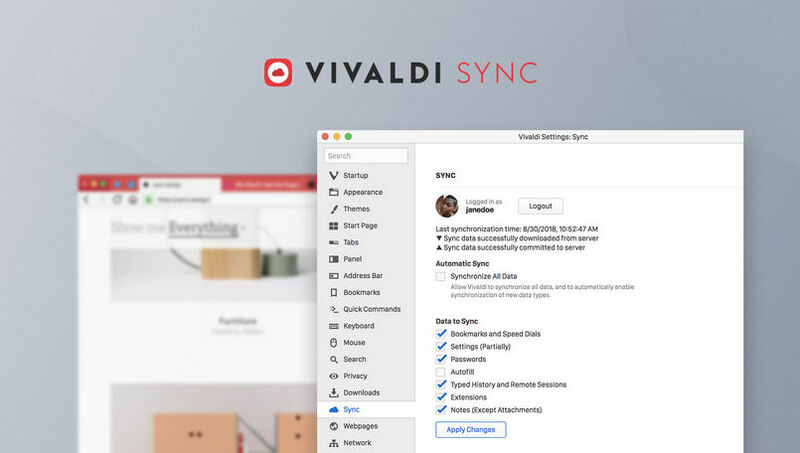 So it seems Vivaldi took its time to release a proper fleshed out sync where users can seamlessly sync bookmarks, speed-dials, saved passwords, autofill information, history, extensions, and notes across multiple computers. All of the synced information is end-to-end encrypted, and no third-party server has any access to the data. 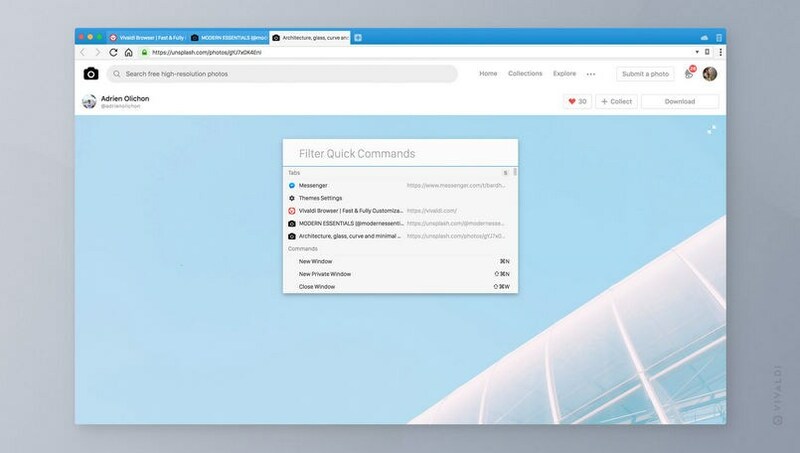 Vivaldi allows users quick access to sections such as downloads, bookmarks, notes, history, web panels, and window panels with the help of its sidebar. Here, web panels allow users to browser website of their choice in split-screen mode along with the primary website and they can even “float” the website of their choice over their primary website rather than resizing the main window. This is helpful for users to keep a tab on their social media accounts, news, or messaging platforms. The browser allows users to group, pin, drag, hibernate, and mute tabs to their liking while having multiple ways to access all these features. 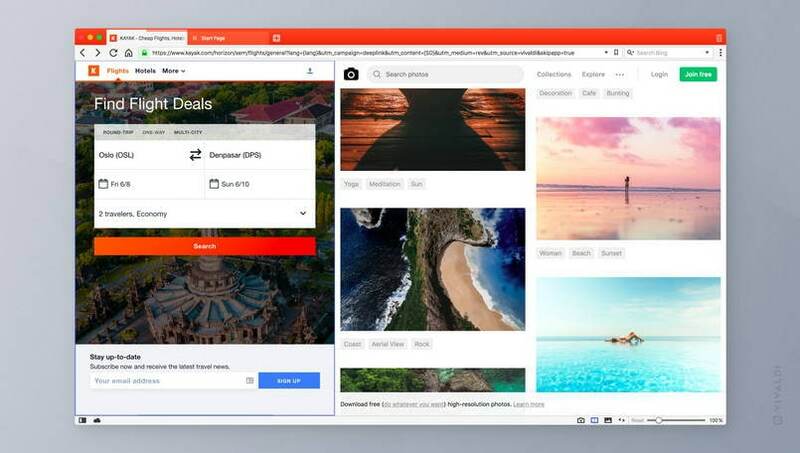 The company has updated its ‘Tab Tiling’ feature to ensure that users can resize the tabs in split-screen view by dragging and dropping the borders of the tile and this will be maintained after the browser restarts. The new version has also added a list-styled view to its ‘Tab Cycler’ to ensure that users can easily find and view the list of currently opened tabs. 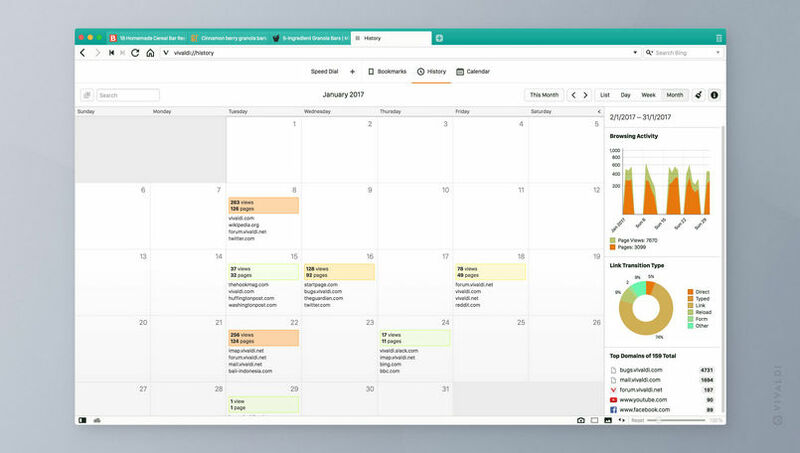 Vivaldi allows its users to check their browsing habits along with stats and visual cues with the help of ‘in-depth History’. The browser already comes with keyboard shortcuts that can be customized and mouse gestures. The browser comes with capture tool, which allows users to research and annotate the websites along with the support for markdown in the Notes tool. 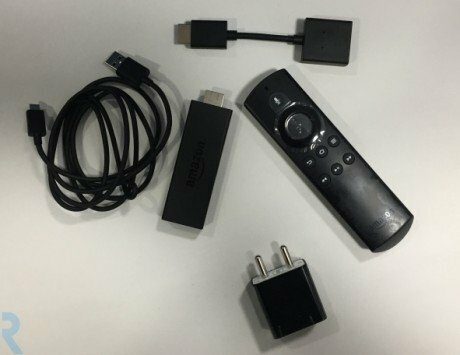 It also packs an ‘Image property tool’ to check all the properties of the image including the camera model and histogram if available. 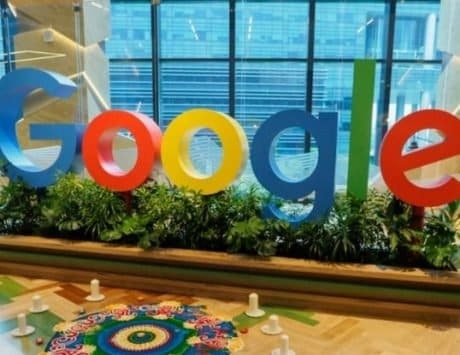 Last but not the least, the company announced that it does not track its users to maintain the privacy of Vivaldi users.